COI One-Day Convention - October 20th, 2018. Tickets now available! 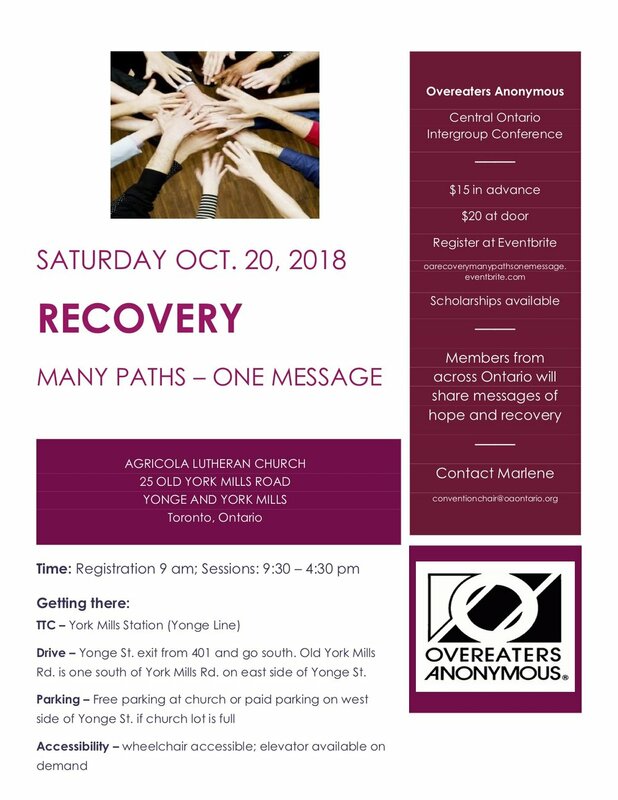 Tickets are now available online for the October 20th, 2018 one-day Central Ontario Intergroup Convention. Find out all the details and how you can get tickets by clicking here.